Visit reflag.com for a complete itinerary. 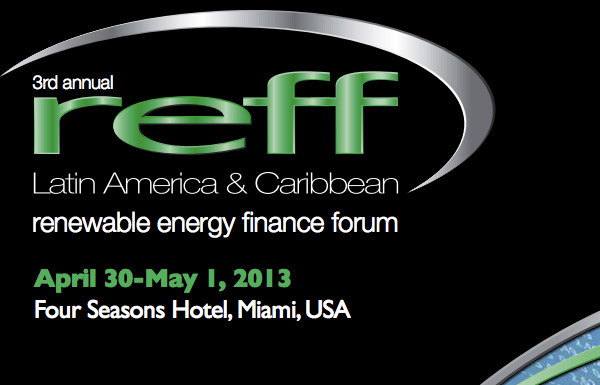 REFF-LAC will address the rapidly changing state of renewable energy finance, and insights about the path ahead, with a specific focus on the Central, Latin American and Caribbean markets and how they are interacting with the broader global markets. In the face of tremendous long-term growth potential and new political support, the renewable energy markets are today suffering from the credit crisis, withdrawal of major lenders, loss of tax equity capacity, economic recession, and new legislative initiatives.